The hubby saw a list of detox water (http://fooditus.com/10-top-rated-homemade-detox-water-recipes/) and asked me to prepare for him. Thing was, I already did that once and he kinda think that it's just water, even though I told him it's good for health. So today... I made Apple Cinnamon Infused (Detox) Water. 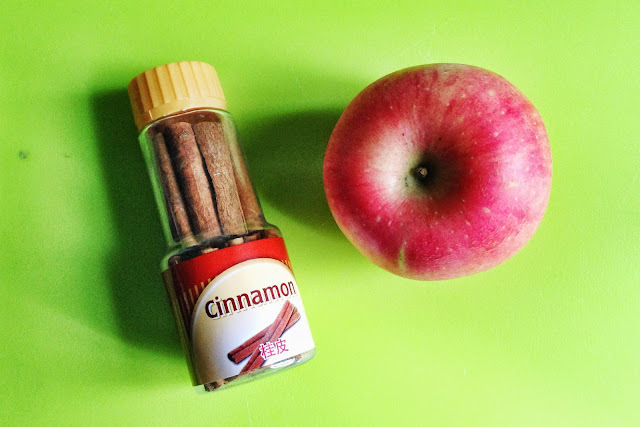 Drop apple slices to the bottom of the pitcher and place in the cinnamon stick. Cover with ice about 1/2 way through and fill the rest with water. Cool in the fridge for about an hour before serving. Apple Cinnamon Water lasts for 24 hours in the fridge. Okie.. the cinnamom is a little too strong and overpowered the apple. Guess I will not soak the cinnamom in the water for too long the next time. Next to try, the Cucumber Lemon Mint or the Lemon Ginger.